My name is David Layberger (Dave) and I would like to introduce my company to you. RAINFALL has been in business since 1988. We specialize in sprinkler installations for both commercial and residential customers. The best chances for having and keeping an immaculate lawn, is to consider installing an automated watering system by hiring a professional Rainfall Sprinkler System Contractor. 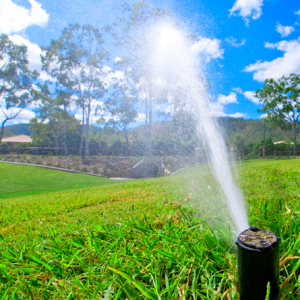 Lawn sprinkler systems for your property allow you to schedule the watering of your lawn, freeing your time up for other activities. Having a lawn sprinkler system also helps increase the value of your home. Many brands of water sprinklers are available on the market to match any budget. Automate the watering of your lawn by having a Rainfall sprinkler systems professional do the job for you. Rainfall contractors are also conservation friendly. We are careful that our design is efficient and will not waste any of your water. Free Estimates for installations only.